MULTIFUNCTIONAL 3 IN 1 LIGHT- This multi-functional lamp can be used as a lantern, regular flashlight, or as a side panel light, all-in-one! Each of the three light sections feature 8 bright LED bulbs to effectively illuminate the area around you and the 3-way switch located on the handle makes it simple to transition between lighting functions.. 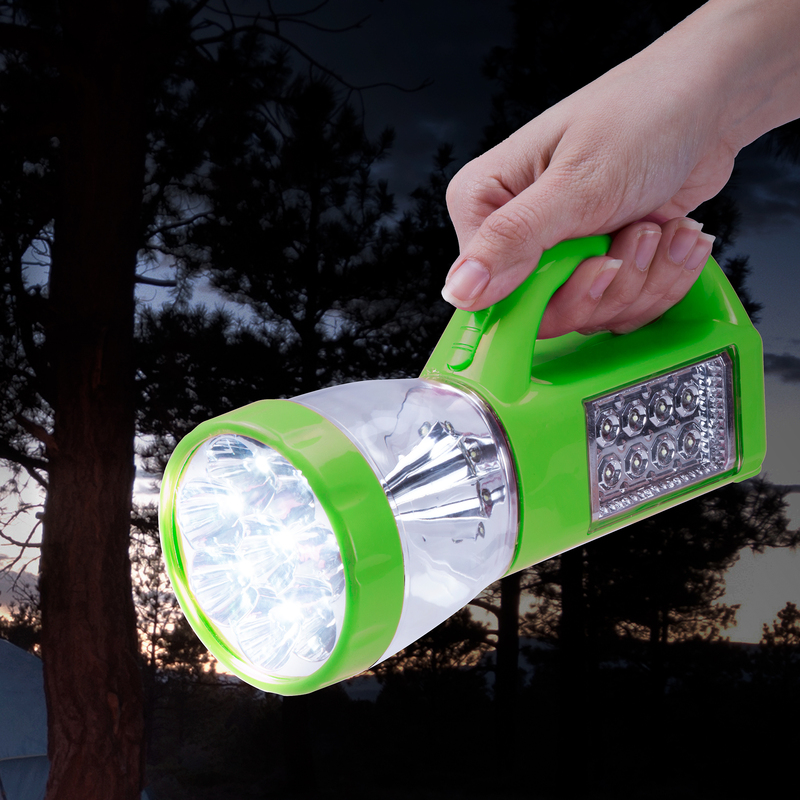 This makes it the perfect outdoor or indoor lighting tool for camping, hiking, boating, fishing, backpacking, reading, or to have in your car or home in case of emergency. LONGER LASTING- These versatile lights utilizes energy efficient LED technology so you can use your flashlight without worrying if it will last. LED leads to an improved lumen-per-watt ratio compared to traditional lighting, which saves energy and ensures your lantern last longer. COMPACT AND LIGHTWEIGHT- Even though this 3-in-1 light is packed with features, it will not weigh you down. It is compact in size and light in weight, making it easy to carry with you and simple to store. This truly is a must have addition to your camping equipment and a must have in any emergency kit or hurricane kit. I purchased two of these lamps for power outages. They are very bright and will serve their purpose, with the 3 in 1 features. However, I am afraid if I drop one, it will crack. They are made out of the thin, brittle plastic that cracks so easily.I would not recommend these for anything other than Emergencies.. and be careful not to drop them.